As time passes by and each decade moves on to another, the concept of fine living changes and so does the standard of living. Along with it, there are gigantic advancements in the fields of infrastructure, architecture, landscaping, technology, medicine, education which when clubbed together with an ever evolving creative human mind has now made it possible to incorporate all these into a City of Wonders. Brought together for the people to experience a lifestyle with a wide horizon, easy accessibility & availability of basic amenities as well as the luxuries like state of the art medical care, modern education, high quality entertainment, well endowed health & fitness facilities along with well known restaurants and dining out establishments Fortune Butterfly City is an epitome of the bourgeois comfort par excellence yet at an affordable expense. 48% of its total land is open spaces with breathtaking scenic beauty, a clean environment and a delightful ambience which foster a sense of peace & contentment that is hard to find these days. 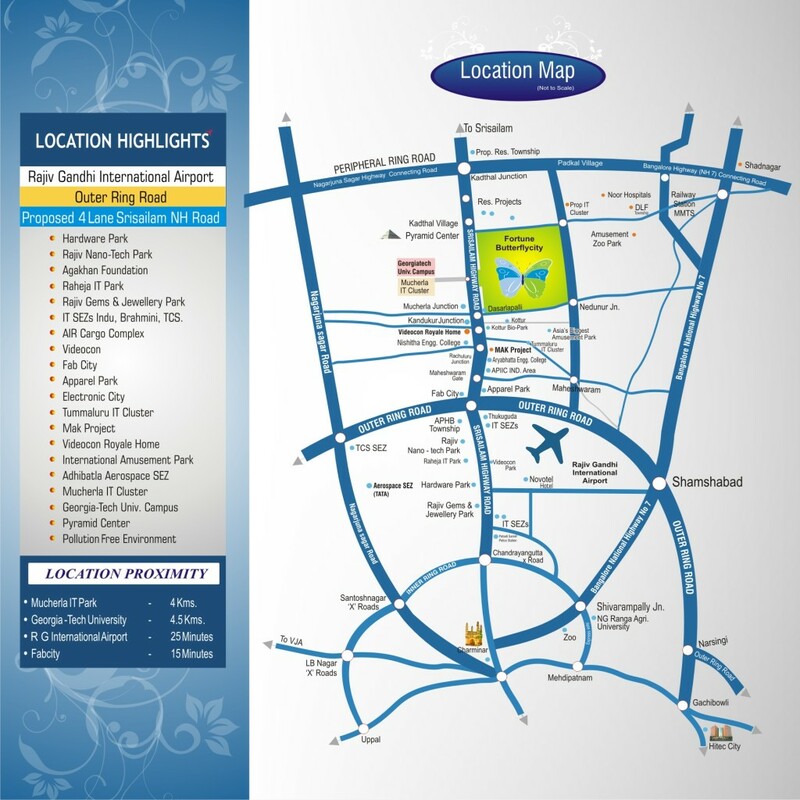 Myriads of leisure time amenities such as a boating area, gyms, spas, swimming pools and various sport centres add to the attractiveness of the City. Today, the world is riddled with the issue of crime and a general lack of security which obstructs and affects an individual’s freedom of living in more ways than one. 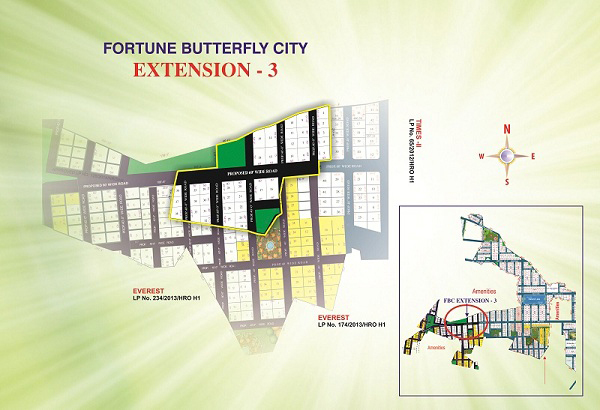 Fortune Butterfly City caters to the needs and demands of this age and time, thus, will provide an elaborate 24×7 security system in order to create a safe and secure environment for the residents to live freely in. This certainly will add to the glory of the city over time. 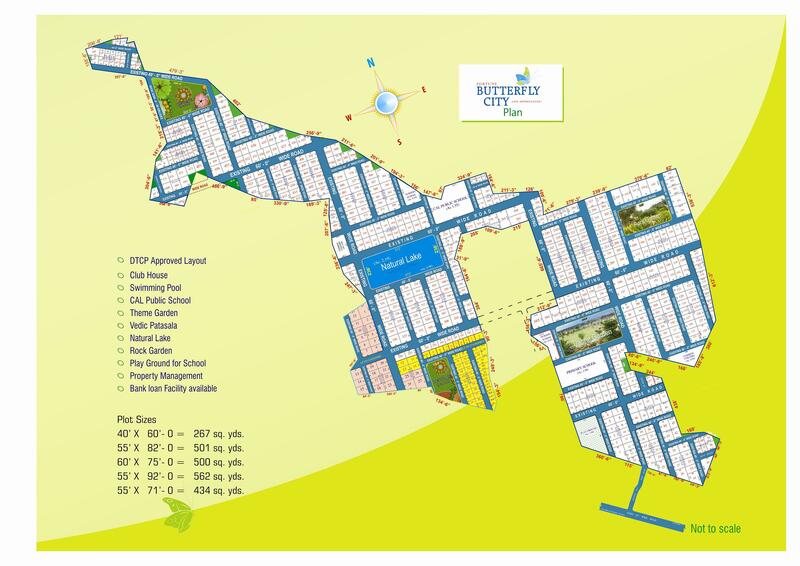 All in all, Fortune Butterfly City is a captivating place where you will experience happiness, comfort, contentment, peace of mind, serene beauty and a true sense of freedom, all of which you deserve. So, grab the opportunity, come experience the various hues of life in here and it is bound to leave you mesmerised!! !